Randy's Holiday Pick 2017: "Wow! Here is a collection of stories that are at times funny, often moving, and all are really, really good, if not great. Welcome to Mars is perhaps my favorite. It’s Kirk’s 19th birthday and he joins his father to go surfing in what turns out to me a defining day in his life. And then there’s Alan Bean Plus Four which is a hilarious telling of a journey 4 friends take to the moon. Read it. 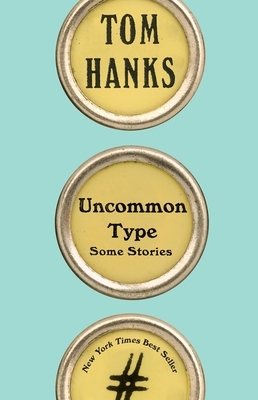 You’ll be pleasantly surprised by Tom Hanks as a writer." “Enjoyable..."The Past Is Important to Us” employs a sharp, unexpected conclusion to elevate a story of time travel and romance at the 1939 World’s Fair." “[Unveil[s] the inventive mind behind his regular-guy façade”.